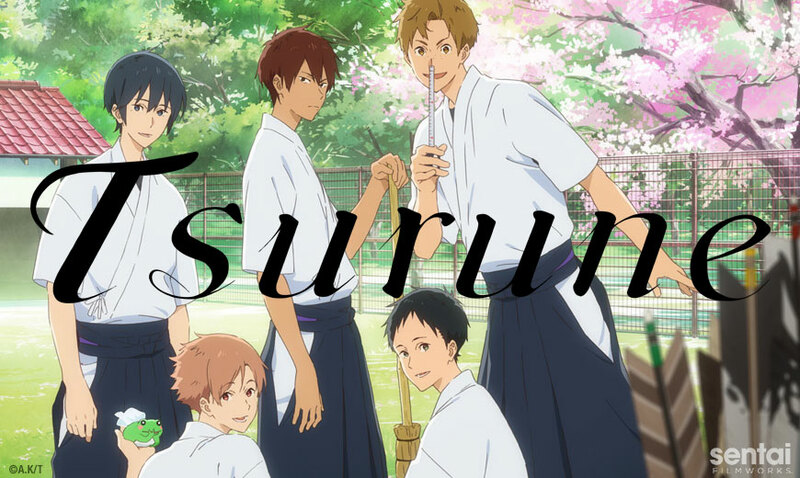 HOUSTON, TX October 23, 2018 – Sentai Filmworks announced today that it acquired Tsurune, the latest series crafted by the acclaimed studio, Kyoto Animation (Free!, Violet Evergarden, Beyond the Boundary), for distribution in the USA, Canada, Australia, New Zealand, South America, and other select territories. Based on the award-winning light novel series by Kotoko Ayano, Tsurune follows Minato Narumiya as he explores his relationship with archery and, in turn, how he sees himself. Having loved the sport as a child, Minato joined his middle school’s archery club only to suffer a terrible loss during his last tournament. He then gives it up and despite persistence from his childhood friends, refuses to try again. Now in high school, Minato encounters a mysterious stranger who inspires him once more and joins the Kazemai High School Archery club in hopes of winning the prefectural tournament! Having worked on Violet Evergarden and Sound! Euphonium, Takuya Yamamura make his debut as the series director. Michiko Yokote (Love Stage! !, Cowboy Bebop) is in charge of the series script with Miku Kadowaki (Amagi Brilliant Park, Beyond the Boundary) leading character design. The series will soon be available to stream on select digital outlets for the Fall 2018 season with a home video release to follow.